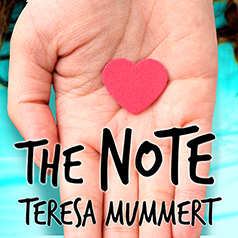 In this touching novel from Teresa Mummert, one woman's chance encounter with a stranger changes everything. Contains mature themes. Sometimes in life it feels like everything that can go wrong does, but everything happens for a reason. A relationship crumbles so someone else can mend the pieces of your broken heart. A change of plans can lead you to something you didn't even know you were missing. We help others and discover that we were the ones who needed to be helped all along. Jenn's life is nothing as she had imagined it would be. She is twenty-something with a failing career and her love life has officially ended with an ultimate act of betrayal. She is ready to throw away her dreams when a chance run-in with a soldier alters her course and changes her perspective on life.